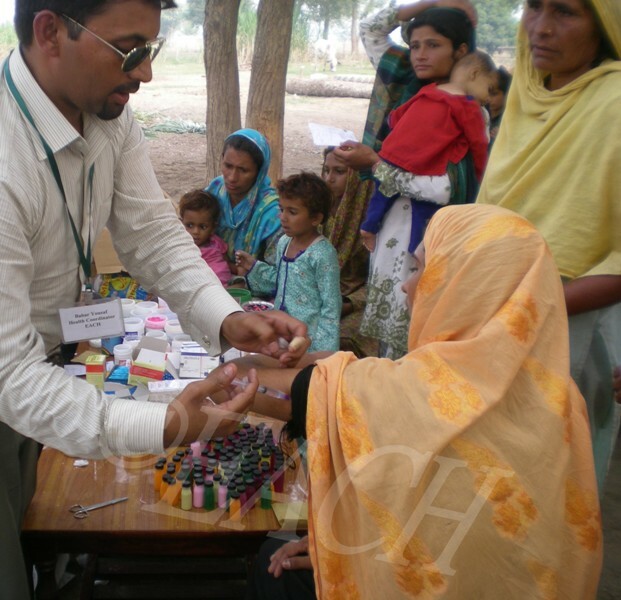 EACH, Faisalabad Pakistan promotes Health Consciousness among the poor communities, plans to provide basic preventive and curative health care services for the most important health issues and diseases HIV AIDs, cholera, Hepatitis A, B, C, Malaria, tuberculosis which results due to poverty and lack of awareness. EACH established dispensaries and medical camps for the provision of medical services and an essential medicine. Provide material to Community based Mother and child Care centers. Train Traditional Birth Attendance (TBA) at grass root level. Building spaces for community based dispensaries.